A freight train has derailed near the town of Attica, New York. Pictures from the scene show plumes of smoke billowing up from the crash. Emergency crews have been dispatched to the scene, where multiple cars went off the tracks and at least one caught fire. At least two minor injuries have been reported. A HAZMAT team was called to the scene, according to local media reports citing first responders. Citing officials from Norfolk Southern, the railroad company that owns the train, other reports said the crash involved a car carrier with no hazardous material on board. 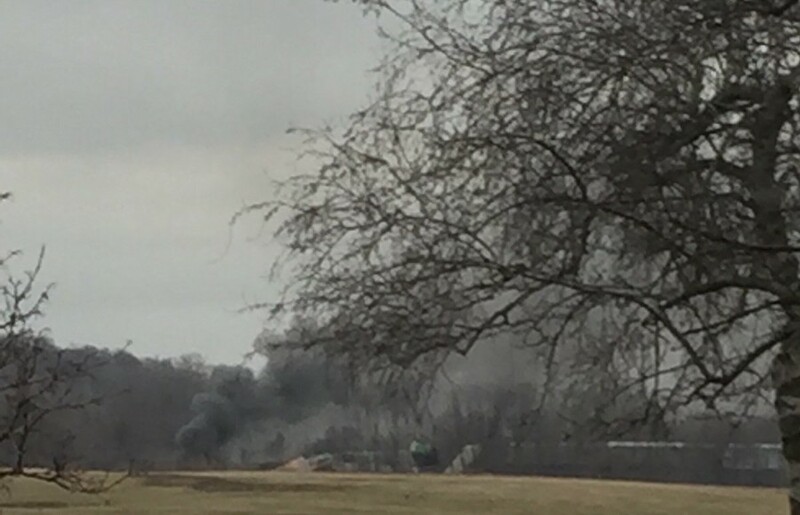 The fiery wreckage is near the Attica Central School campus.